I had the wonderful opportunity to do some freelance writing for the Miami Herald! It’s in todays newspaper, if you get the Miami Herald go to the Today in Ecuador section to view my article. When I handed my final draft to the editor of this column he mentioned that it was too wordy (and it was). It was so hard for me to be precise in my points and tips, since it was an article geared towards parents who are traveling with kids, I wanted to be as informative as possible. As a mom, this is what I wished I had known before I got in the car and headed for our adventures. Below is one of my unedited versions and you can find the final version here at Today In Ecuador or in todays paper 8/11/2012. All of the places mentioned below we have visited and there are more that were not included like Mitad del Mundo, Mitad del Mundo Musuem, La Granja del Tio Mario, Mini City, Bosque Mall outdoor playground (the only mall with a playground)….. It would be a shame not to enjoy the breathtaking beauty that is filled with rich history found in Ecuador and awaiting to be discovered by you and your family. The picture below is from our ruta de las cascadas trip. Some of the differences from my version below and the published version is our introductions are different, the descriptions are longer (mine here are a bit more informative and personal) and I have a couple of places added that didn’t make it in the paper. We are that family … we pack our bags and we don’t let having kids keep us from discovering this beautiful world that is surrounds us. We want to encourage you to experience the sights and sounds that are distinct to Ecuador with your children and hopefully these tips prepare you for your outings. “Home to the famous Galapagos Tortoise, the rare Andean or Spectacled bear, the stealthy Jaguar and an incredible aviary, Quito Zoo provides a chance to see the best of Ecuador’s wildlife all in one place.” Quito Zoo Ditch your Spanish course and go out and experience Ecuador’s animal wildlife in español. The zoo is large so make sure you give yourself a couple of hours to enjoy it. Stop by the petting zoo where there are guinea pigs, llamas, donkeys and other animals that you can feed. There are picnic tables where you can stop and take a break and grab a snack (vendors are irregular). It’s about a 40 minute drive outside of Quito without traffic in a car or taxi. The weather in Guayllabamba is hotter than Quito for the most part, so make sure to dress accordingly. We made the mistake of going on Monday when it was closed and had to ride back with a car full of very disappointed children. Price: Kids $3 and adults $4. For more info and how to get there, visit their website at www.quitozoo.org I made some free scavenger hunt printables for you to take on your zoo trip that my kids thoroughly enjoyed. Go here to download them. My kids were mesmerized by the old planes displayed in the outdoor exhibitions. It’s small but a great little trip to take with the kids. The museum is on a military base so make sure you take some form of I.D. The museum has both indoor and outdoor exhibitions. The indoor exhibition has model type planes and it also has a small interactive play area. This is a fun interactive museum that will keep your kids entertained for hours. There is a section called Guagas for the little ones, but my 8-year old still likes it. They also have a Condor zipline inside. There is another educational interactive area, but geared more for older kids and adults. Recently, they’ve added a giant board game that teaches safety during natural disasters and the kids get to be the play pieces and roll a very large die. Check out their website for more information: http://www.museointeractivodeciencia.blogspot.com/ I didn’t add this part in any of my edited versions but I will here on my e-zine: We waited and waited for a whole group of 6 year olds to ride the Condor zipline and when the museum staff person left we proceeded to take our turn. Immediately, a staff person came in and he was upset and he asked us to get our children off of it because they were not 5 and under. I told him that the children that were on the ride, met the rules that they have displayed on their wall and either way one of their staff just walked out of this room with 15, 6 year olds. And that staff should be consistent with the rules.” He got upset that I contradicted him and threaten me with “I am going to have to ask you to leave the museum”. I told him “that I have not once raised my voice at him and that if they have rules than their own staff should follow them.” Other then this rude man, the rest of the staff was very kind and friendly. I did report him and now a month into it, I have yet to hear back from their education director. This may seem like a boring thing to experience, but my kids, as well as my husband, were quite fascinated with the whole process. There are soldiers, horses, drums, the President, a band…. It’s an essential part of your visit to Historical Quito and takes place every Monday at 11 a.m. at the Plaza Grande. Free. This is one of our weekly outings as a family. Carolina Park is the biggest park in Quito, with a perimeter of nearly 3 miles. On the south end of the park near mall you can find a pond with paddle boats for you and your family to enjoy. There is plenty to do: bicycle and running paths, bike mounds, skate ramps and much more. If you visit over the weekend there is a variety of food and toy vendors, as well as pony and horse rides bordering Avenida Amazonas on the west side of the park. Other parks with a playground and stroller/bike paths: Parque Metropolitano, Itchimbia and Elejido. Need to escape and enjoy nature? At Cotopaxi National Park you can enjoy breathtaking views, wild horses, ruins, ponds, birds and much more. There is no hiking needed to enjoy the beautiful scenery from the refuge parking lot. However, if you want to get to the refuge you will need to hike a steep climb up in very thin air. We did the hike with our kids, it was definitely strenuous but doable. It can get cold, so make sure you dress accordingly. At the refuge you can find snacks and warm soup and coffee. One of our Christmas traditions, is to drive to the refuge parking lot and make snowmen, our own little “white Christmas.” It’s about a 45 minute drive by car or taxi to the entrance of the park and another 30 minutes to reach the parking lot 200 meters below the refuge. Free (recent changes in the law eliminated fees) for a list of all the national parks in Ecuador: http://www.ambiente.gob.ec/?q=node/60 You can go here where I share our hiking Cotopaxi experience with kids. 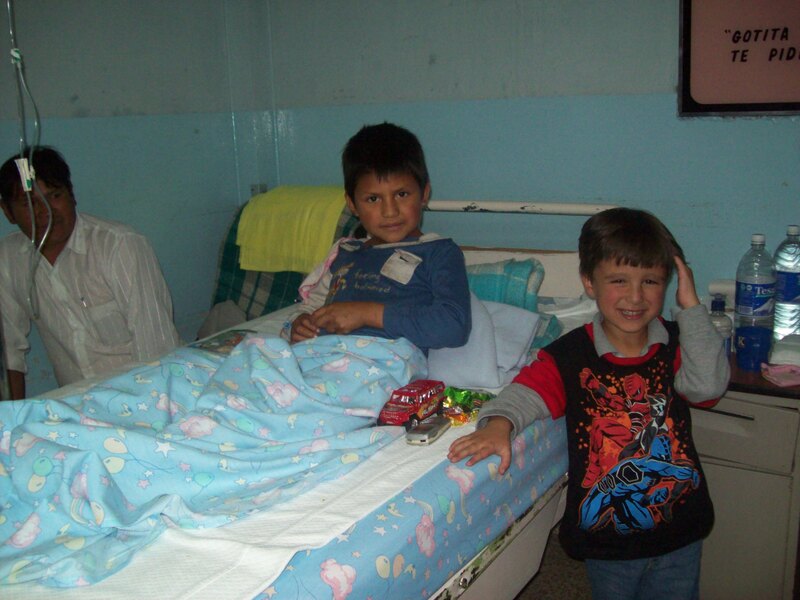 There are many organizations in Quito with programs for the homeless, street kids, orphans, soup kitchens, visit the children’s hospital….. If you are looking for a less structured way to get your kids involved in hands on outreach, just make some lunches before your outing and give them out to the kids on the street selling candy or doing tricks for money. Our family calls this Operation Brown Bag, we have been doing this since our kids were 18 months. This is a practical way to help a person in need without having to actually give them money, that may not even go directly to the children or their families. Here’s one organization you can look into: Pan de Vida. Thanks so much for taking the time to write this sweet note. I am so glad it has encouraged you to come back for a visit. 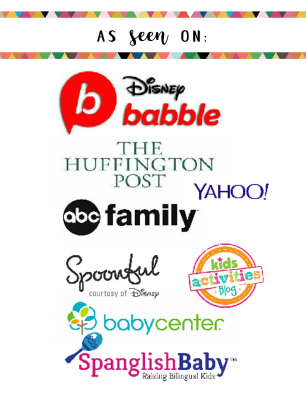 If you are here and are wanting more resources for organizations to do some outreach with your children send me an email and I can put you in touch with lots of great people with fabulous organizations. Blessings on your journey and thanks for encouraging my heart. 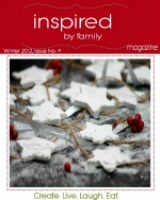 Enjoyed the article. Our daughter is a missionary teacher in Shell and now in Quito. I have done the Teleferico twice with the last time riding the horses. My kids are grown and the teacher just married an Ecuadorian. You did not mention the equator museum. Found it very interesting too. Yes, the equator museum it’s lots of fun. I must have forgotten that one. It’s a beautiful country isn’t it? Hope you get to visit again with having family here now, there’s so much to do. Thanks for this article. We’re heading for Ecuador for a week with our 3 year old and our 1 year old in November and want a nice mix of adult and kid activities. Thanks for giving us a place to start! So glad it will help! I love to hear this from our readers about our articles! There will be more to come for traveling in Ecuador and Peru. Thank you so much for this article. My mil live in Quito and we havent been there since 2002! We had 1 18 month old then. We are planning to spend August there with our 3 girls 13, 9, & just turning 4. Going to Galapagos or the rain forest looks like it will be too costly for the 5 of us so this was a welcoming article to read that gives us lots to do for inexpensive. Hi! Thank you so much for posting!! 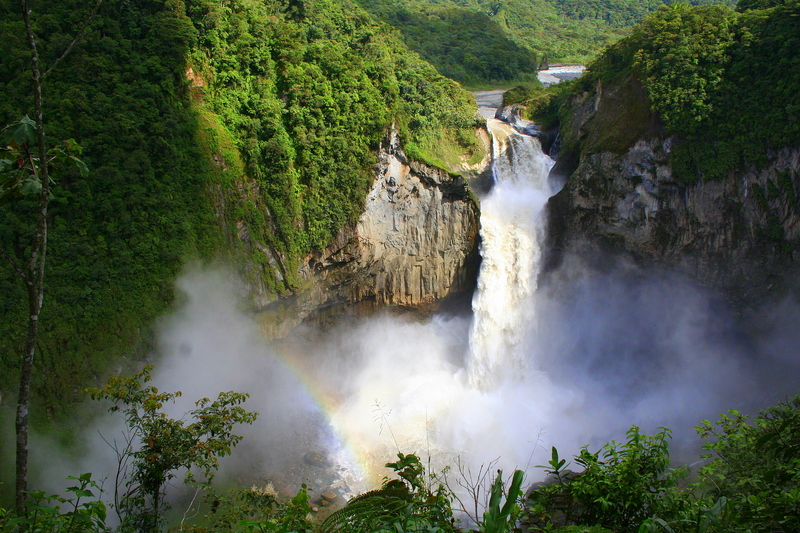 I would like to go to Ecuador..my parent’s homeland, in June. I am planning on going with my daughter (she will be 2.5 years old) and the goal is to fully emerge her in the spanish language and Ecuadorean culture. I have family who lives there still but there are no young children. I was thinking of volunteering in a preschool that I could bring my daughter to so that she can play with children her age. I am a teacher in the United states. I was hoping you could maybe guide me in a direction so that we can make the most of our trip. Thank you so much!! Thanks for such a great blog post. Really very handy. 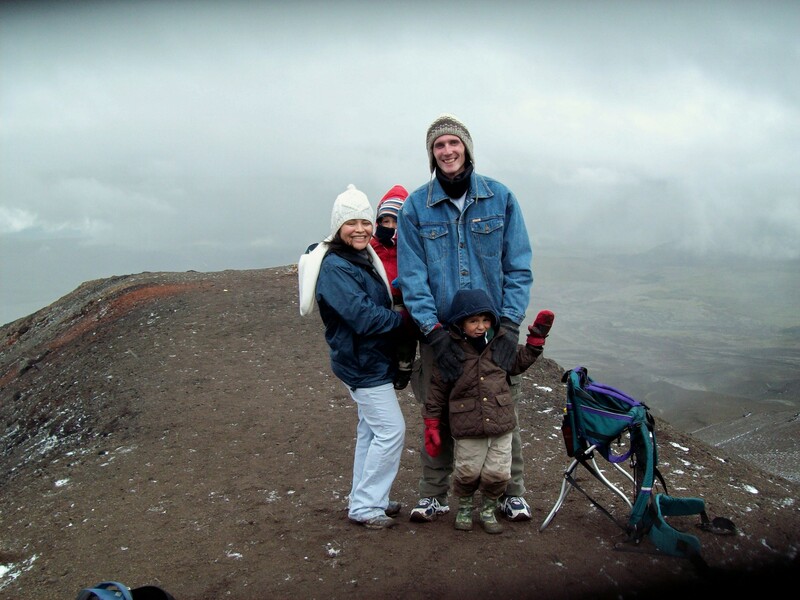 My husband and I visited Ecuador together before getting married, and in July we will take our 16 month old son there for my work and to holiday. So it’s great to have some ‘family friendly’ tips as travelling with an infant is completely different. I was wondering though, do you have any tips on altitude? This is probably my primary concern for my son, as I myself suffer from altitude sickness. Thanks! Hi Natasha, Thanks for stopping by and hopefully these tips are helpful as you travel here. Altitude hits everyone differently. I used to think that it had to do with your level of fitness but the longer we’re here we notice it hits people differently both fit, unfit, elderly and young. We always tell our visitors to take it easy the first day and to get to bed earlier. Drink lots of water and bring some meds if you’ve struggled with altitude in the past. So drinks lots of water and take it easy for the first day. Your question on where to not stay– far south you probably want to stay away from and far north. So if I were visiting with my kids I’d probably stay in the central part of Quito near the stadium, Quicentro mall, El Jardin Mall, Mariscal (but it can be loud at night if you’re not planning on partying so you need to find an area in the outskirts), downtown (but stay in the central area). These areas are great to get around if you don’t have a car. There are other areas like Cumbaya or near the airport but if you don’t have a vehicle it’s not convenient. As far as staying with a family, not sure where you would find that kind of info. maybe AirBNB. There’s an expat FB community for Ecuador that you might be able to join (I’m not sure how it works) to get ideas for others. I’m so glad I found your article as I’m taking my boys for the first time to Ecuador and Quito is one of the cities we will be visiting. Besides going to Mitad del Mundo I was wondering where else I can take them to and your article has some amazing ideas! 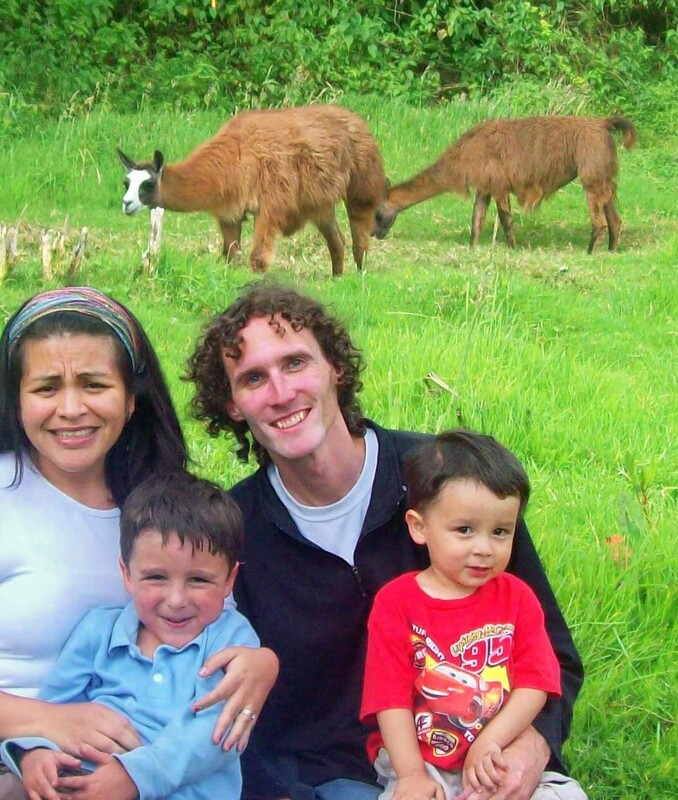 Hi,I read your blog named “14 Things to do in Quito, Ecuador with Kids – Inspired by Family” daily.Your story-telling style is witty, keep up the good work! And you can look our website about free proxy.